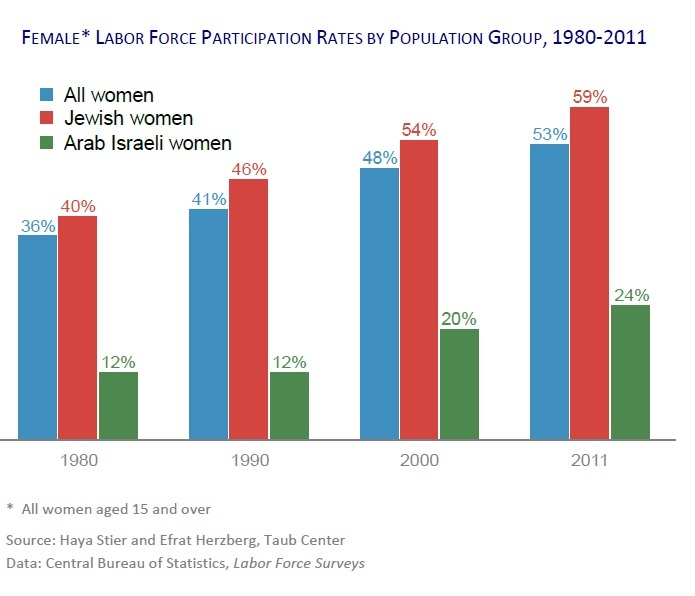 This chapter looks at changes that have taken place in Israel’s female labor force over the past 30 years, with a focus on education and its impact on women’s labor force involvement. Education plays a major role in explaining women’s labor force participation patterns as well as the changes that have occurred both in women’s economic activity and in the composition of the labor force. Although there has been a rise in the total female labor force participation rate, the economic activity of less-educated women is declining. This situation is leading to polarization between highly-skilled women – who enjoy many employment opportunities and suitable working conditions – and women of lower skill levels. At the same time, a significant rise in higher education rates has not necessarily created new employment opportunities. Some academic-educated women have managed to enter traditionally male professional and administrative occupations that offer good working conditions, opportunities for advancement, and a high relative wage. However, the growth rate of higher education appears to be exceeding that of demand for professional occupations, and many highly-educated women are settling for occupations that formerly required lower levels of skill.